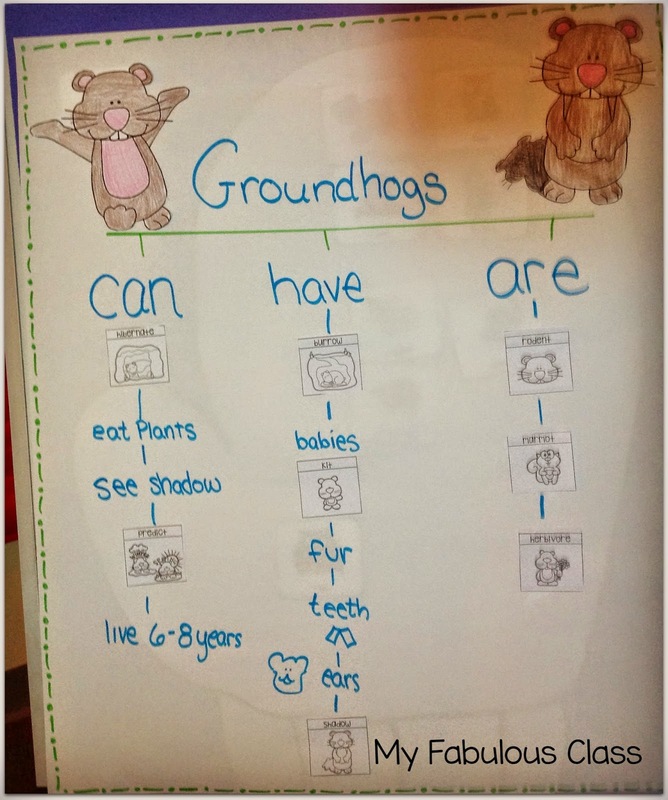 We have been learning all about groundhogs for the past two days. My class had so much fun. I have a few freebies for you, too! Hopefully there are a few ideas you like. You can always pin them for next year. On Friday, we made our predictions. I shared this on Instagram. Are you following me on Instagram??? You should. Click HERE to follow me. Yes, a few kids were out on Friday. Yes, my class is small. Really small. We worked in our math vocabulary or more, less, and same. I did not guess, but I would have said NO! I am so over snow and ready for spring. Snow is only fun for a day or two and then I am OVER it. 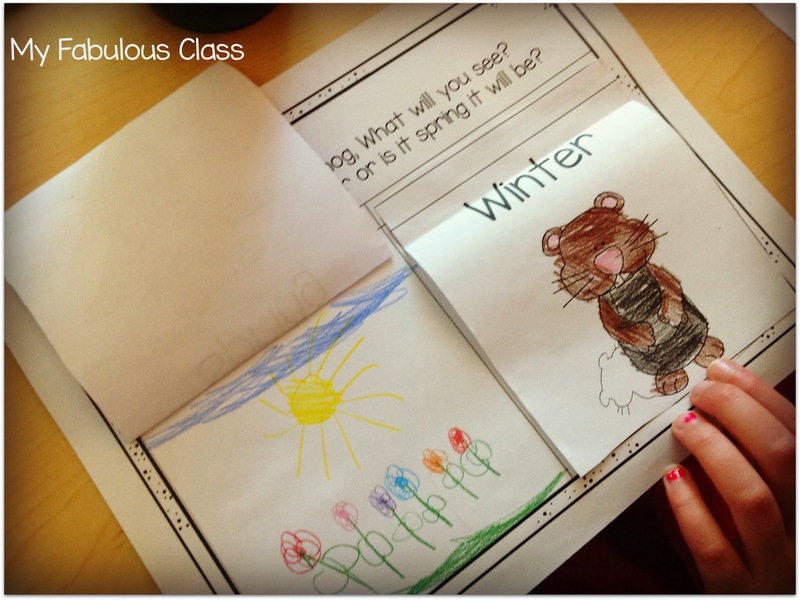 After we made our predictions, we made these fun flip flap books. 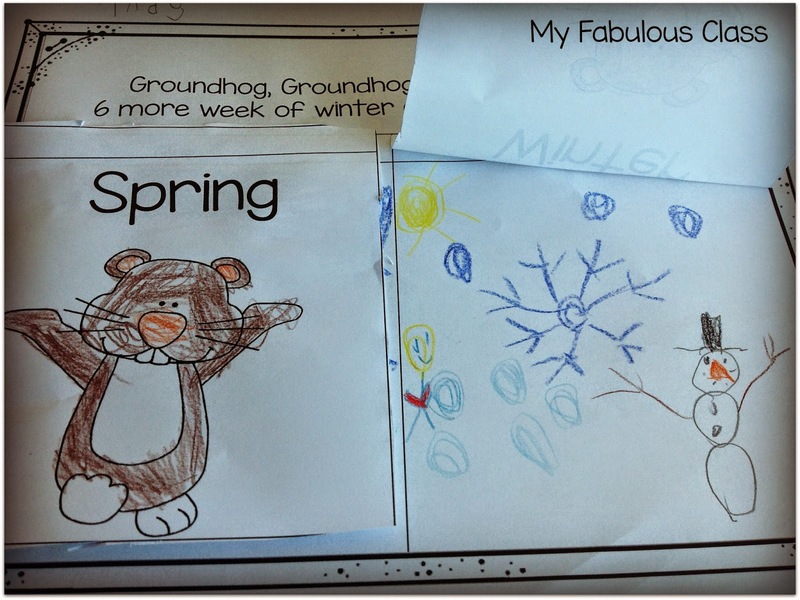 We talked about what spring and winter look like. The kids drew pictures. Would you like this recording sheet? You can find it FREE HERE. 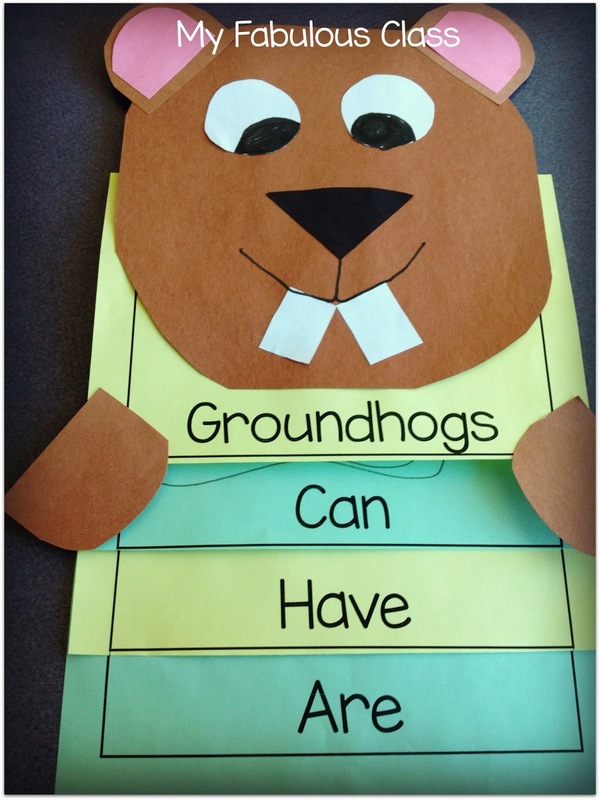 Today, we worked from this AMAZING Groundhog Informational Book Companion from Primary Graffiti. Have you seen her book companions??? I am addicted and have been buying ALL of them. 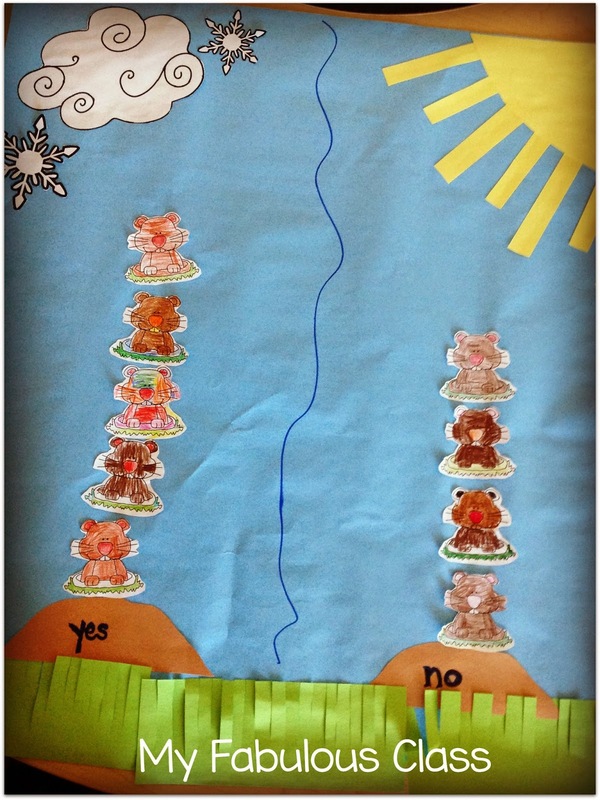 It is great for multiple grade levels. There are wonderful vocabulary cards with pictures and definitions that we went over in a pocket chart. She includes a text that I shared on the Smartboard. The little picture cards on my Can, Have, Are chart are also from the unit. I feel like my kids LEARNED A LOT today. 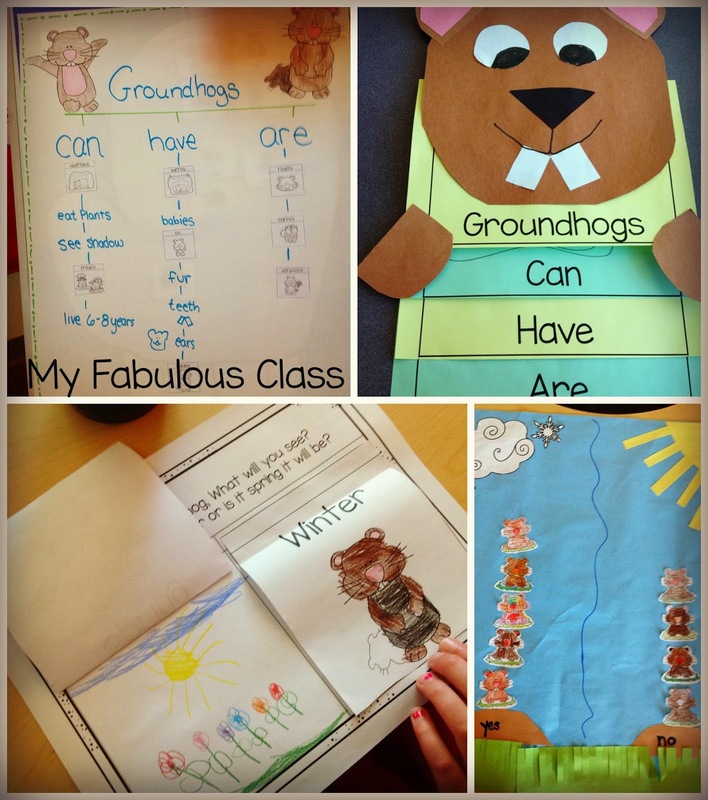 To see how much they learned, we made these adorable Can, Have, Are flip -flap books. Students picked three items from the anchor chart to draw in their flip-flap book. You can get the book FREE HERE. The ground hog is a simple cut the corner craft. This is what you need. 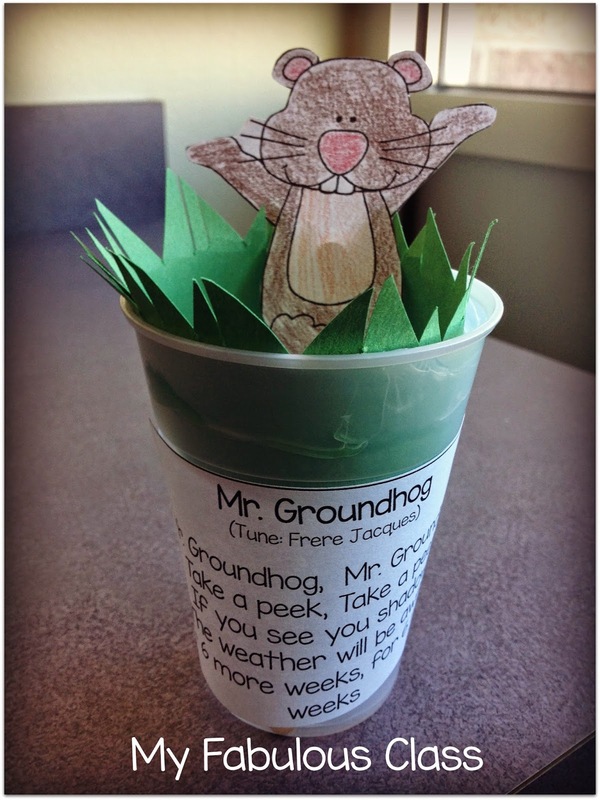 Finally, we made these little pop-up groundhogs.This was inspired by Mrs. Albanese's Kindergarten. 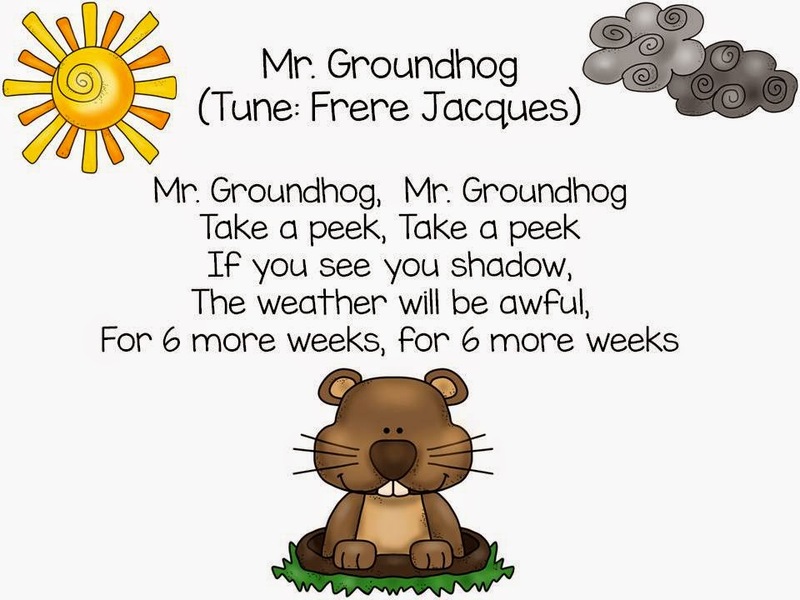 You get download the poem and pop-up groundhog FREE HERE. We took them outside to see if we could see the groundhogs shadow. We talked about how it was easier to see the shadow today because it was sunny. then we talked about how hard it would be to see the shadow if it was cloudy. We went inside and turned on the document camera. I stood in front of it and we could see my shadow. Then I turned it off. It was much harder to see my shadow. 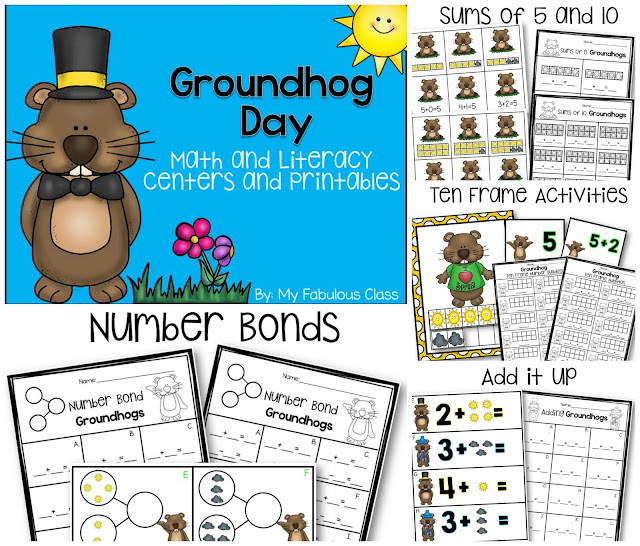 I have also created this Groundhog Day Math and Literacy Centers and Printables.You get 4 Math Centers, 3 Literacy Centers and 6 printables. 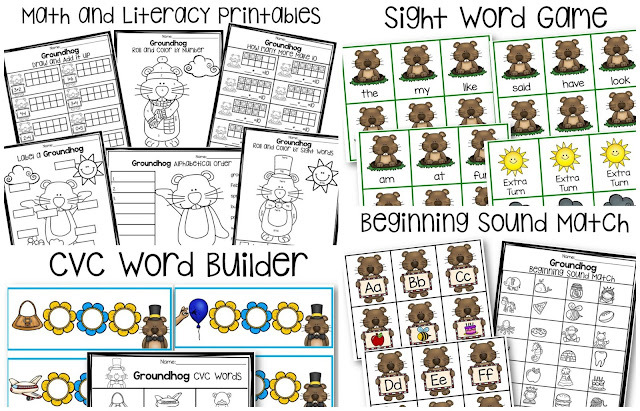 You can have Groundhog fun all week long! Thanks for the wonderful units!!! I just checked your blog out and you have great ideas!!! Thanks for sharing your school day! !